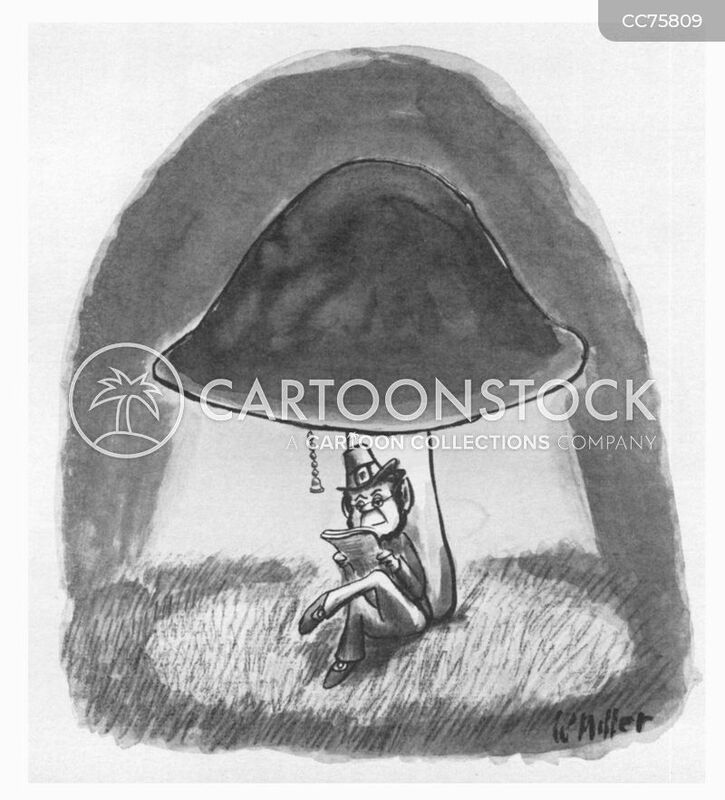 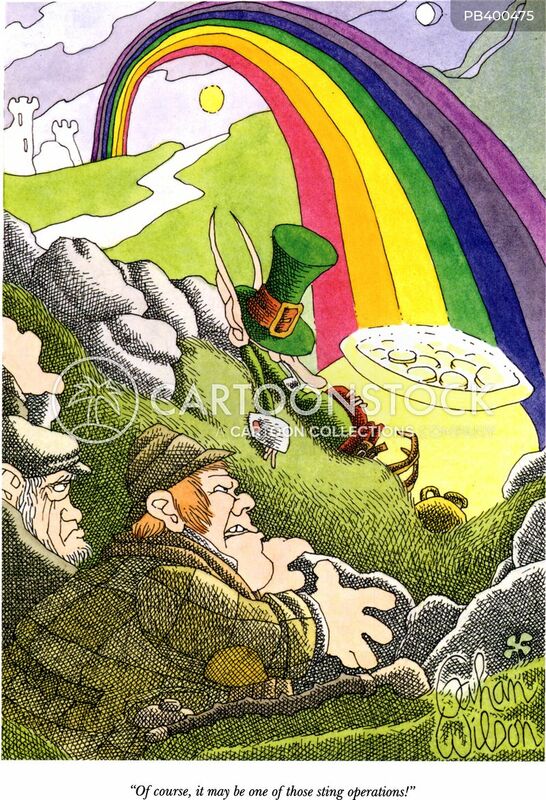 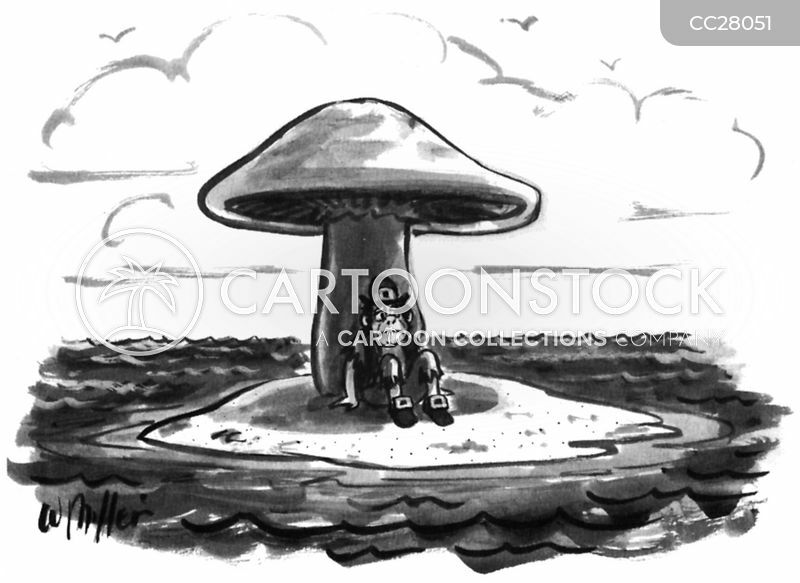 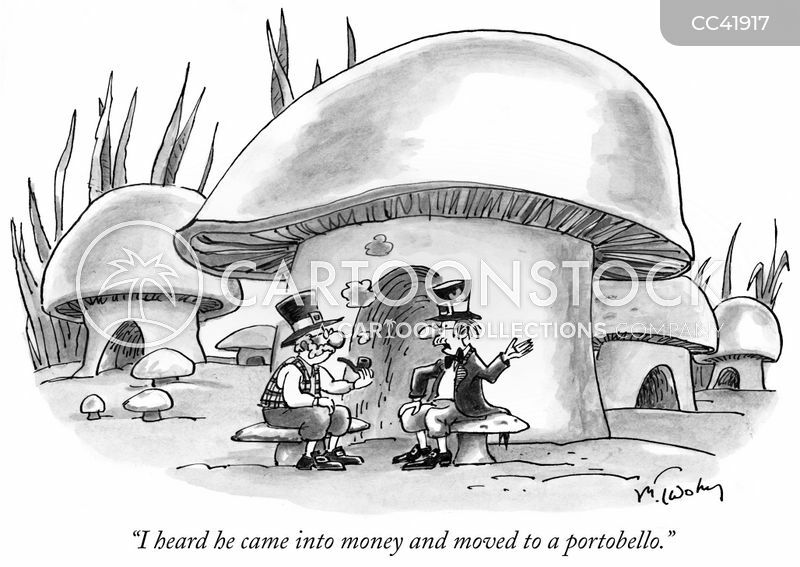 "I heard he came into money and moved to a portobello." 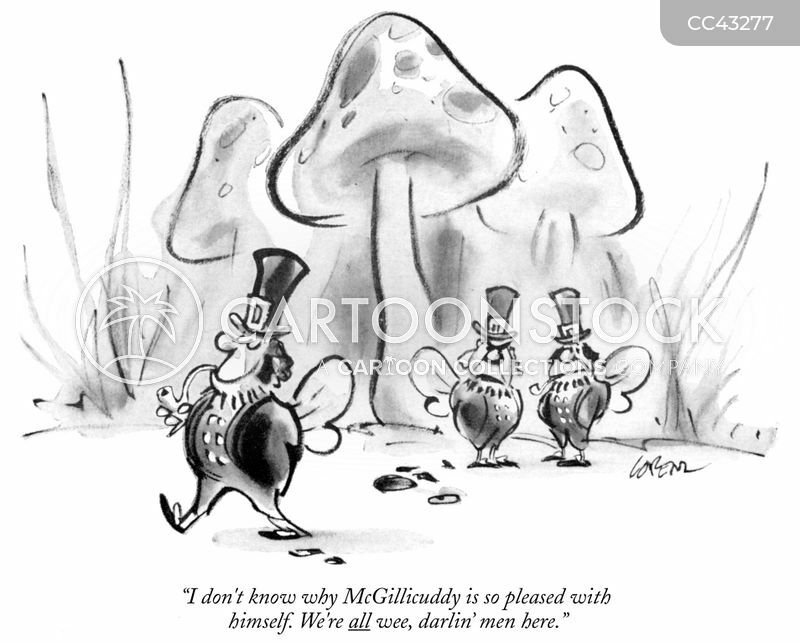 "I don't know why McGillicuddy is so please with himself. 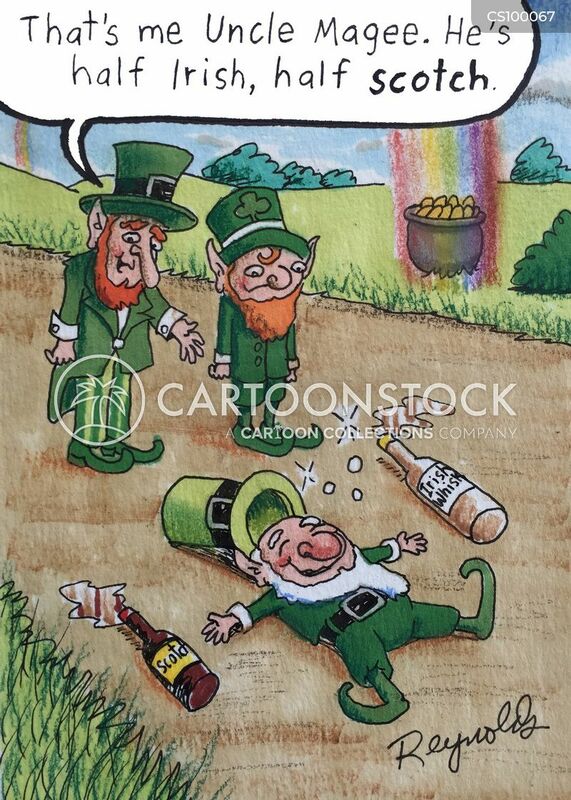 We're all wee, darlin' men here." 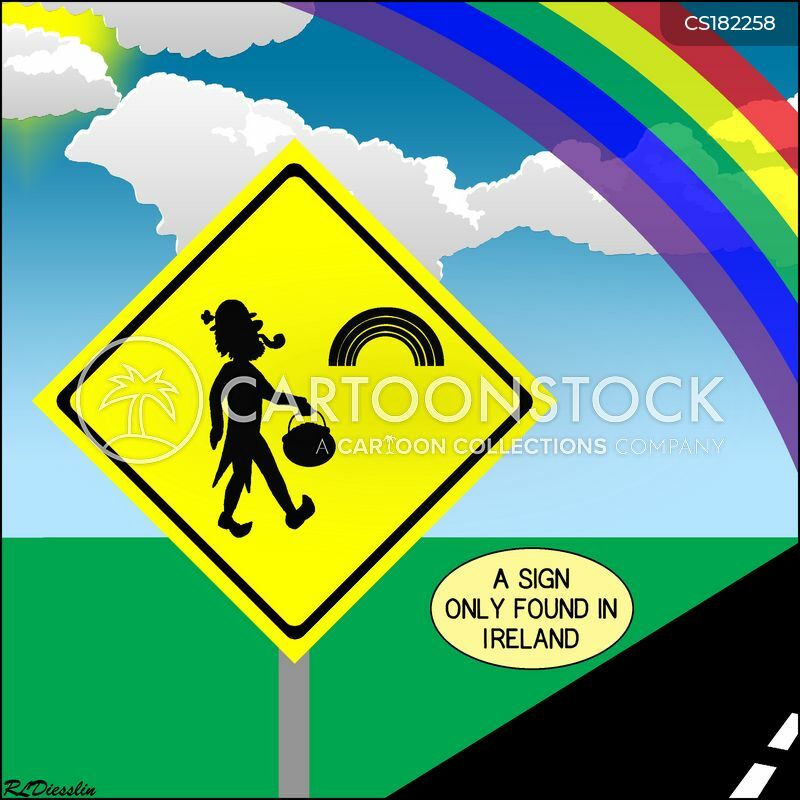 A sign only found in Ireland. 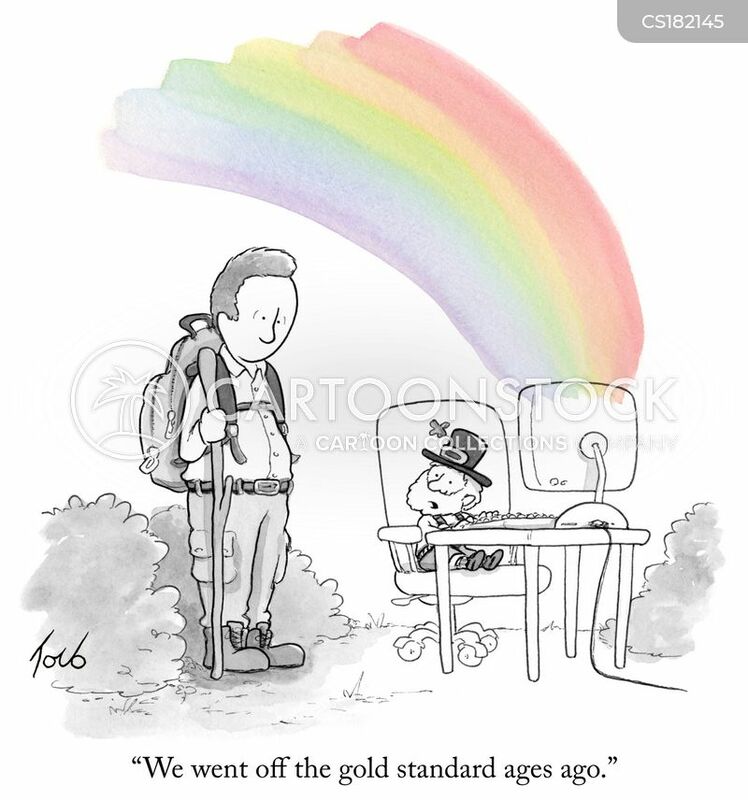 "We went off the gold standard ages ago." 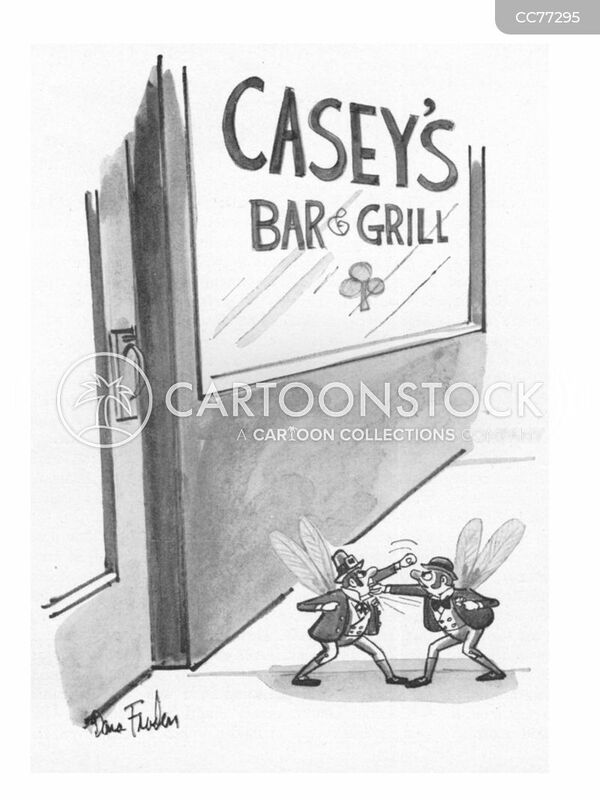 "Of course, it may be one of those sting operations!" 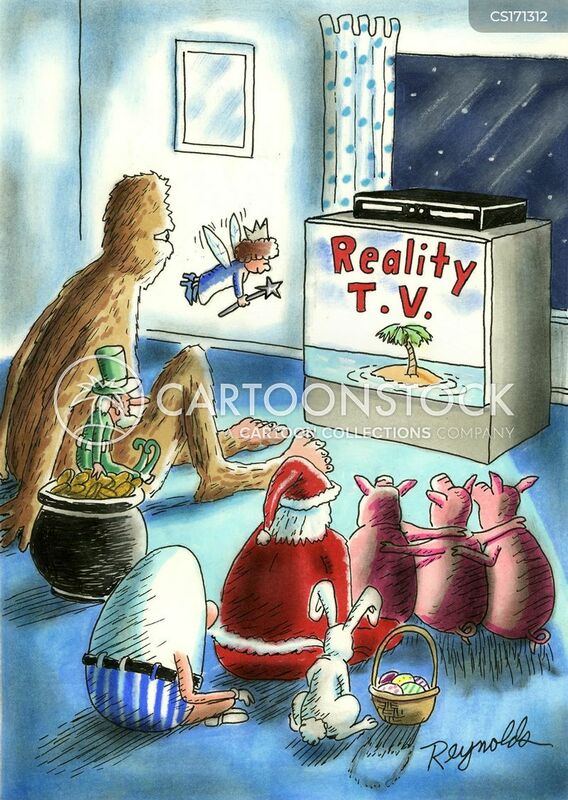 "TO youthey're baby carrots, but to us wee folk, they're fully mature vegetables!" 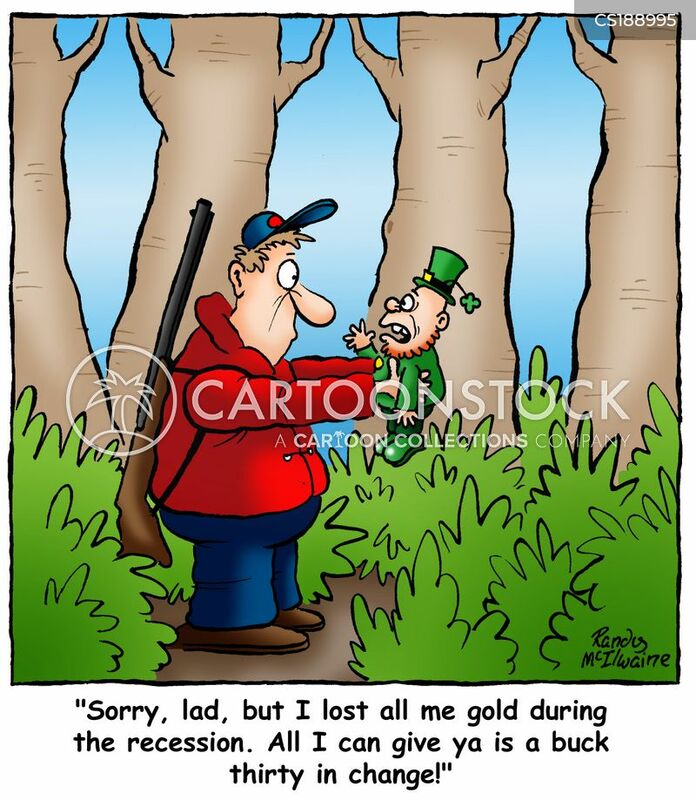 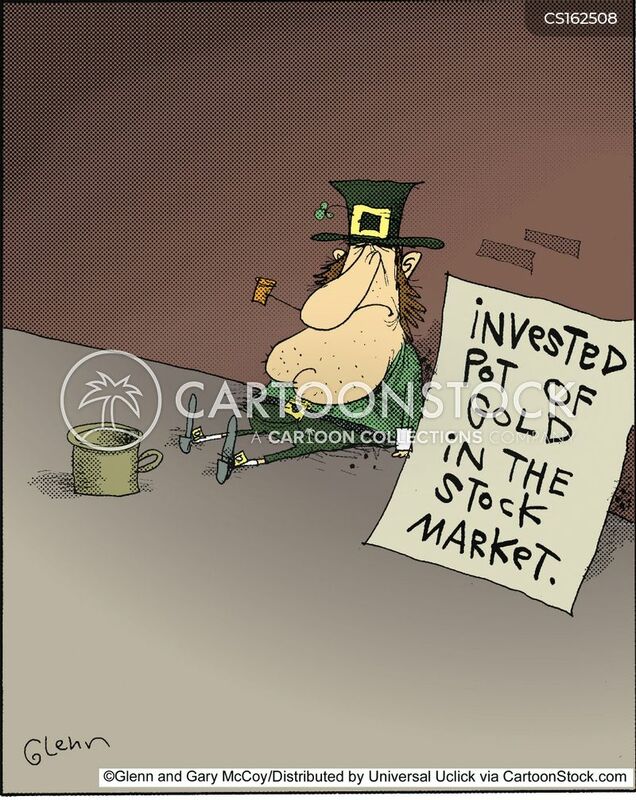 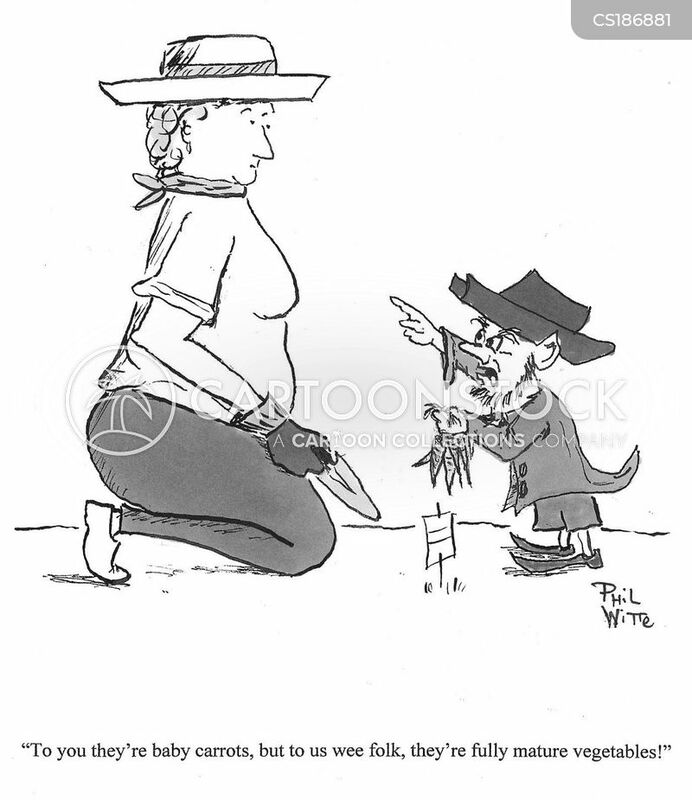 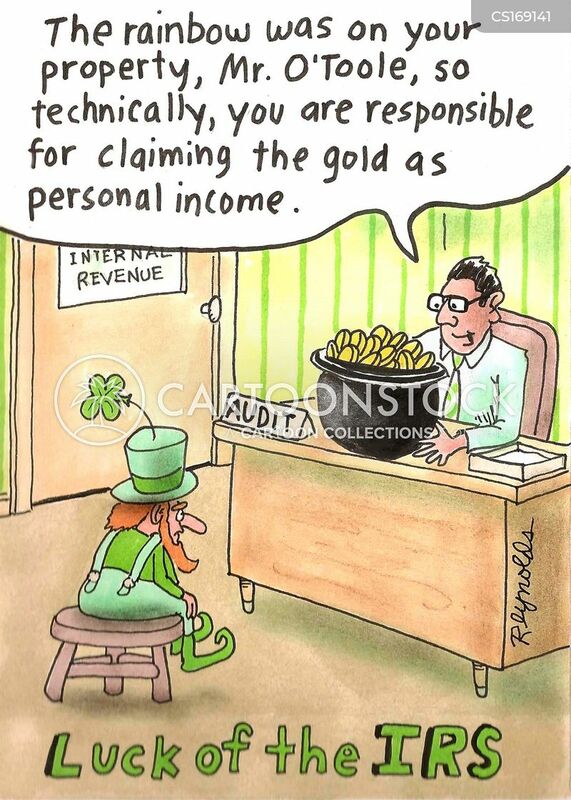 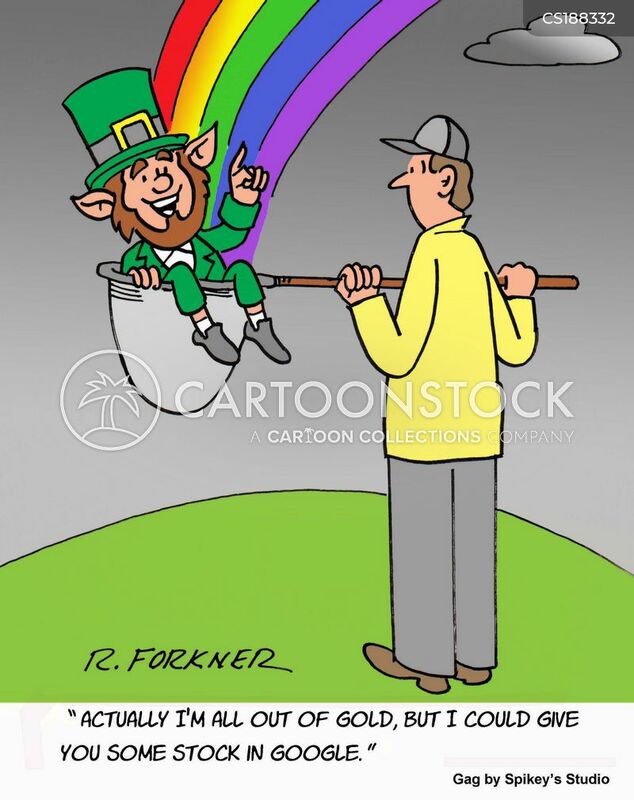 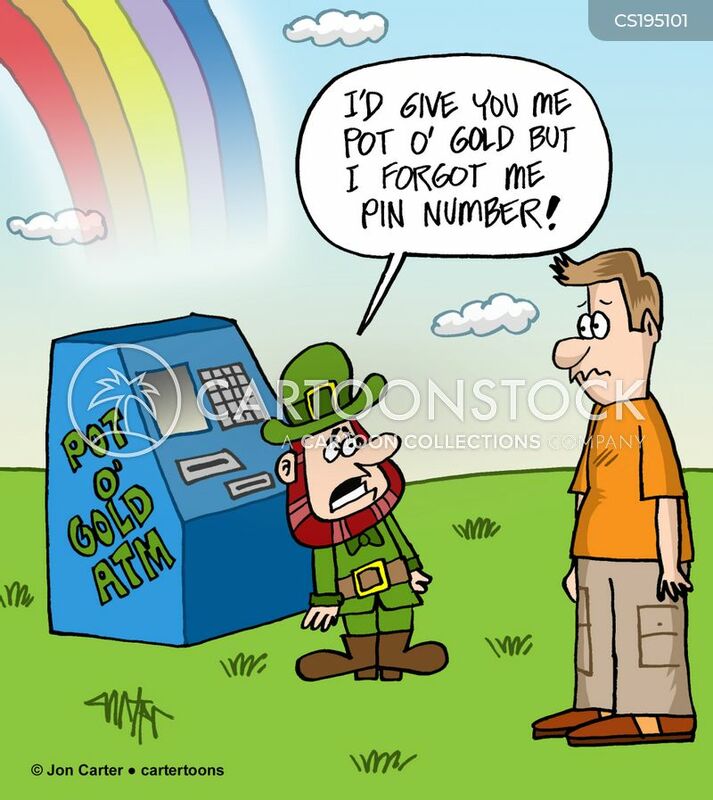 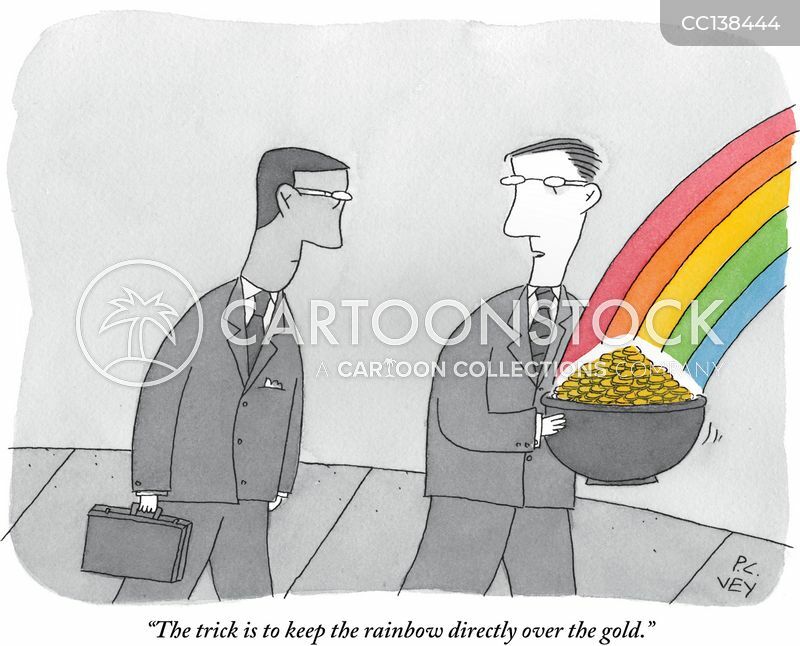 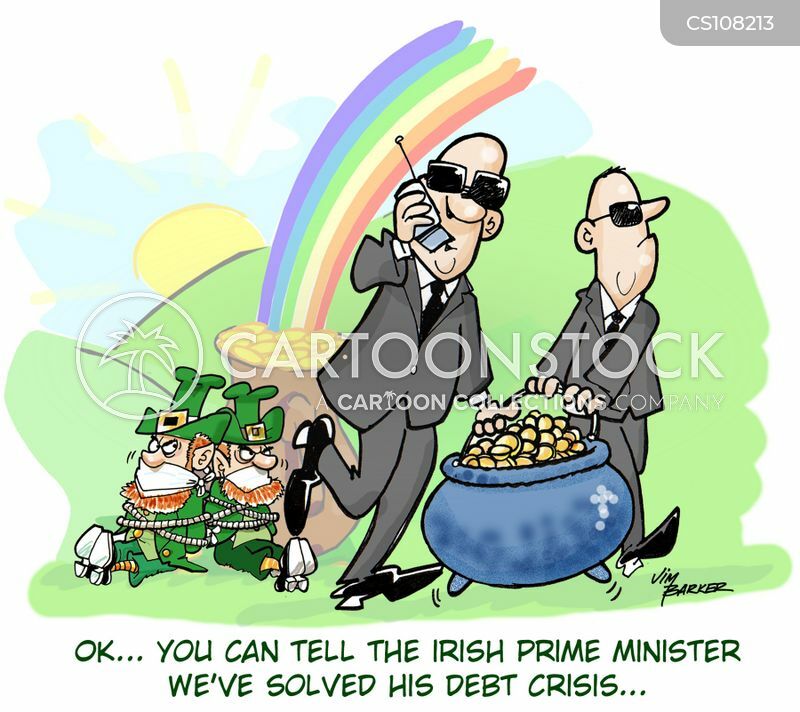 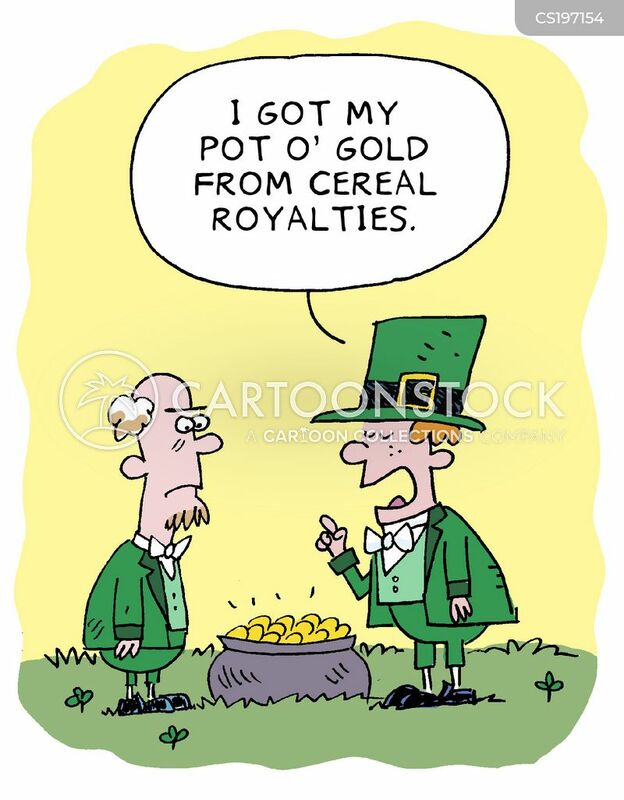 "Actually, I'm all out of gold, but I could give you some stock." 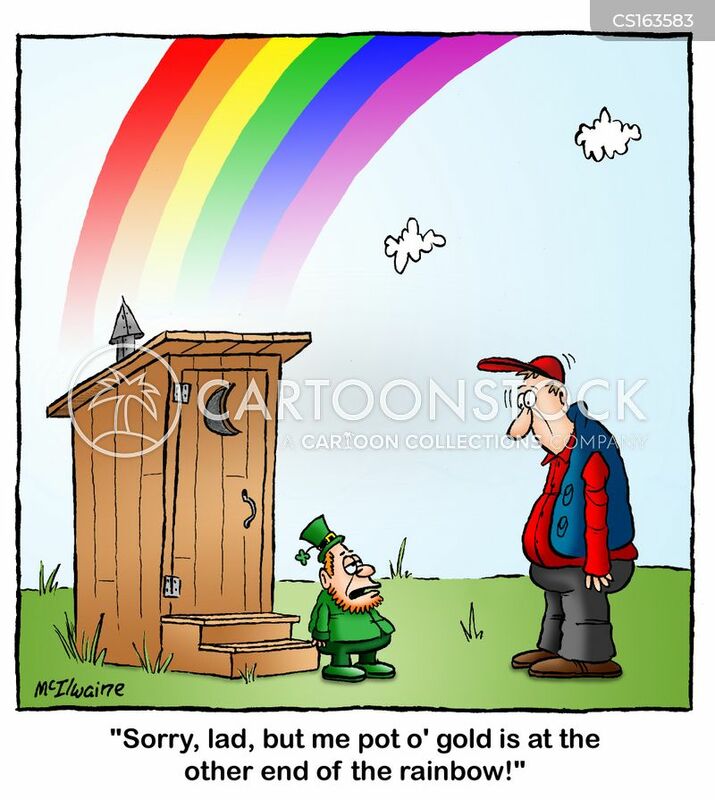 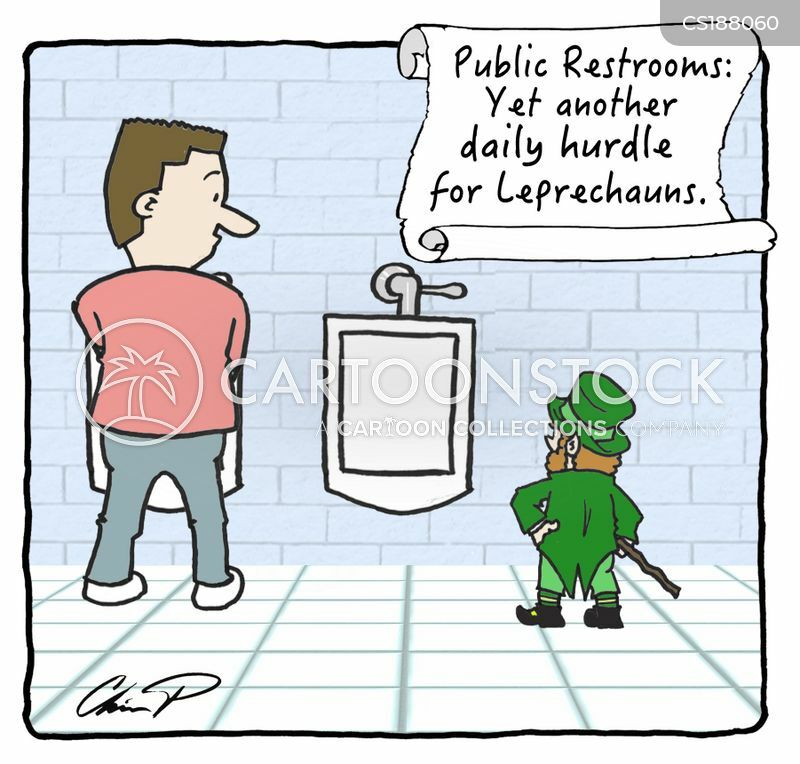 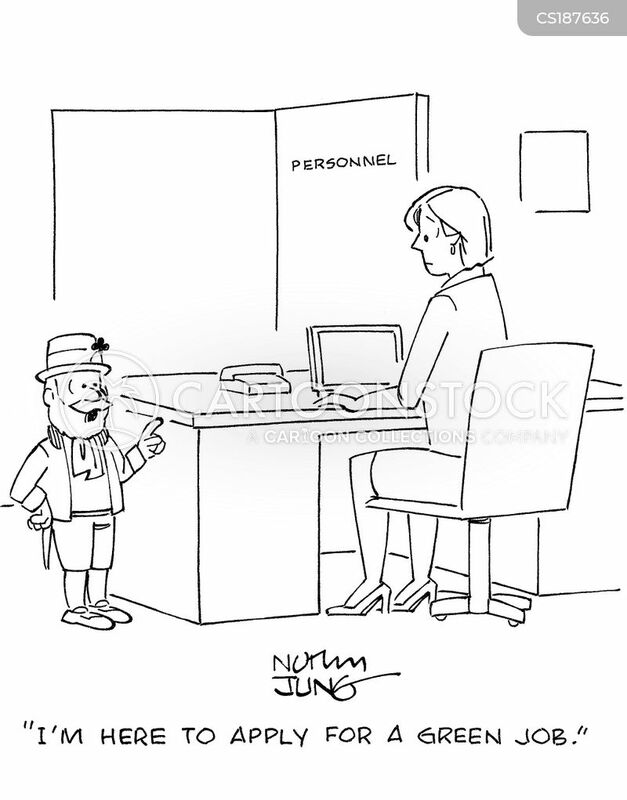 Public Restrooms:Yet another daily hurdle for Leprechauns. 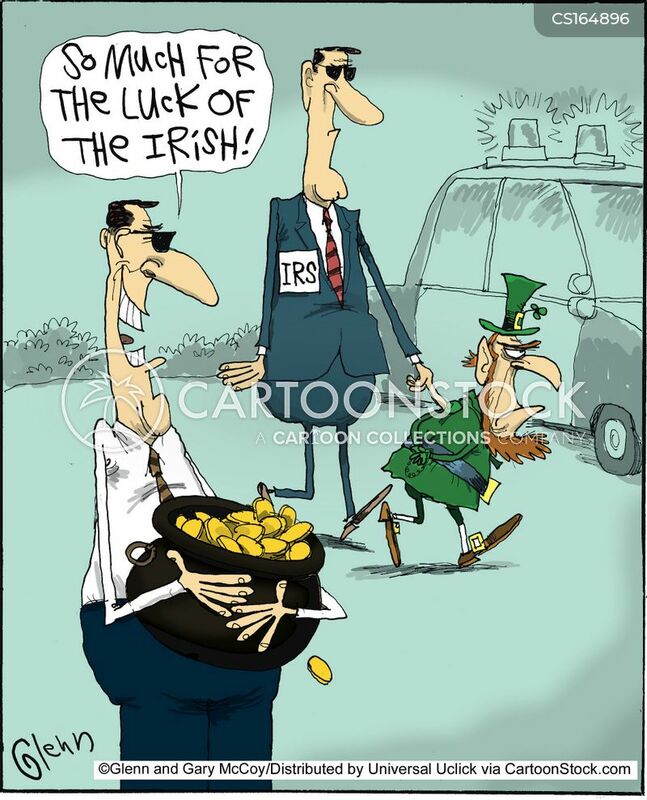 "That's me Uncle Magee. 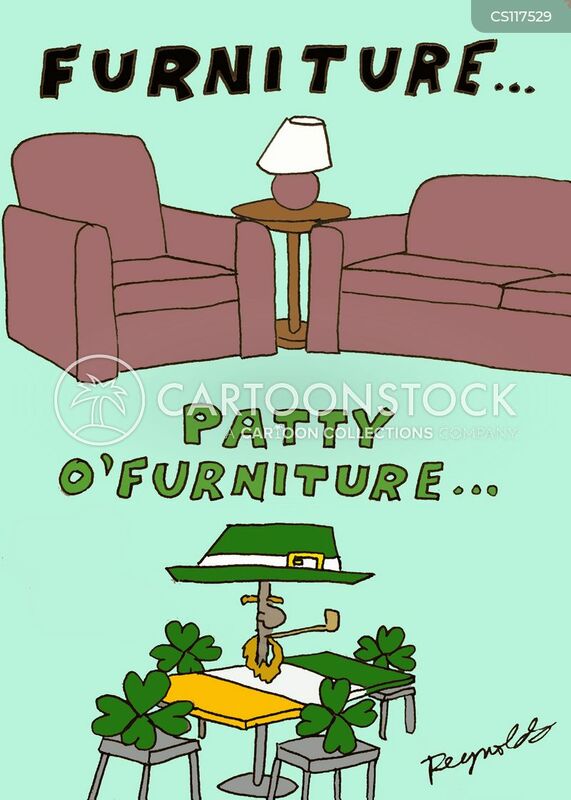 He's half Irish, half scotch." 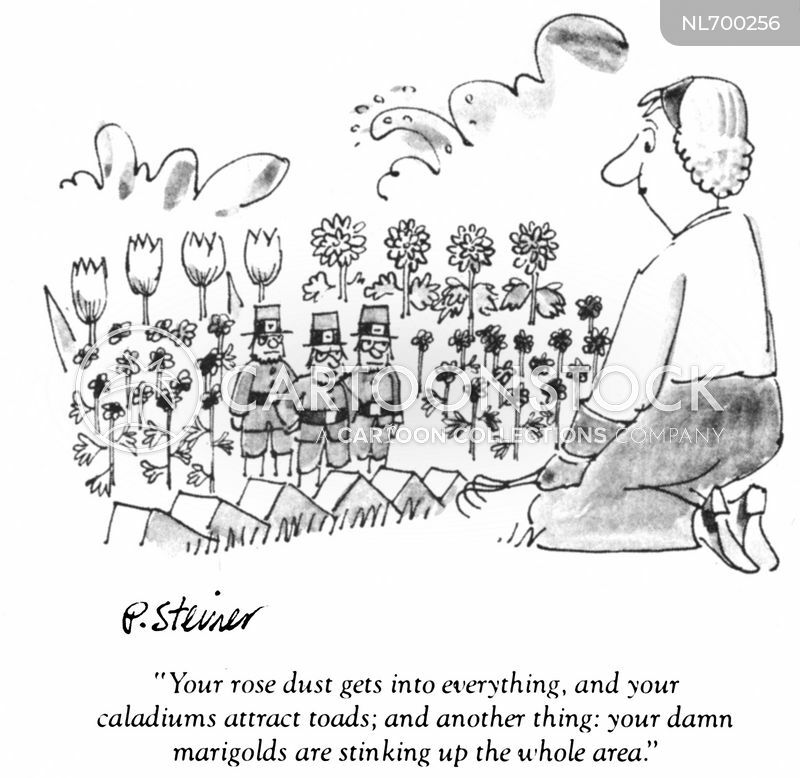 "Your rose dust gets into everything, and your caladiums attract toads; and another thing: your damn marigolds are stinking up the whole area."